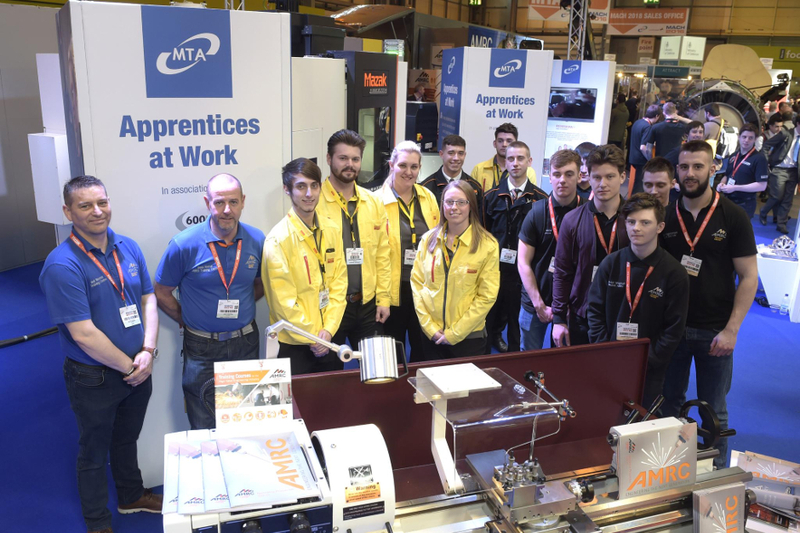 The Education & Development Zone at MACH 2018 is set to inspire the next generation of engineers. Just under a fifth of the UK’s total workforce is employed in the engineering sector and in the 20 years to 2014 the number of high-skilled jobs rose by 2.3 million. Despite this, employers are already struggling to fill positions and many fear that they won’t be able to hire enough high-skilled candidates to fill future job vacancies. According to Engineering UK, shortages in highly skilled labour are likely to be exacerbated by the growth of new industries, some of which scarcely yet exist, emerging from new technologies and knowledge. Whilst the outlook looks challenging, the Education & Development (E&D) Zone at MACH 2018 is seeking to help reverse this trend with a series of special exhibits for students aged 11-19. The E&D Zone brings together some of the leading advanced engineering companies and educational institutions from across the UK, with the aim of shining a light on the vocational education and training that is key to closing the skills gap. Firm’s present in the zone include Jaguar Land Rover, ABB Robotics, Bloodhound SuperSonic Car (SSC), Cranfield University, Industrial Cadets, Siemens, Women in Science and Engineering, and the University of the West of England (UWE) Bristol. The E&D Zone is supported by Sandvik Coromant, a leading supplier of tools and tooling solutions to the metalworking industry. Another organisation hoping to enthuse visitors to E&D at MACH 2018 is the charity Engineers Without Borders UK which will be showcasing to students the work engineers do globally to improve people’s lives and inspire them to look at their career opportunities in engineering in a different light. Every year Engineers Without Borders UK builds the capacity of community based organisations in Africa, Asia and Latin America who are at the forefront of providing engineering services to deliver clean water, improved sanitation, reliable energy and resilient built environments to those that need it most. The E&D Zone is manned by a team of apprentices and graduates from exhibiting companies at MACH. The apprentices and graduates are giving guided tours to the students around the entire exhibition and there are a range of hands-on, interactive activities and educational seminars throughout the week in the E&D Seminar Theatre. MACH is free to attend for students and school groups. Students are also welcome to attend with a parent/guardian.